Ok, its not Wednesday, but I was kinda busy yesterday and plus it was stinking hot, which isn’t ideal for red wine consumption. 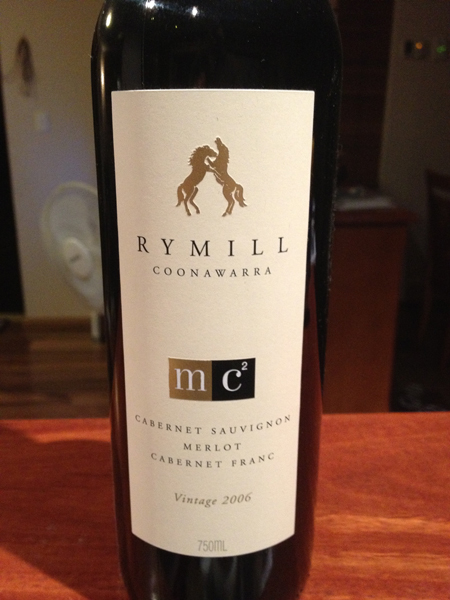 Rymill Coonawarra Cabernet Sauvignon Merlot Cabernet Franc blend from 2006. 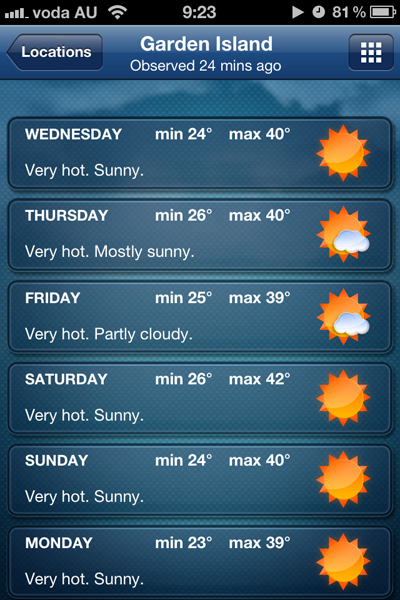 So, firstly, this week has been hot in the proper definition of the word. I had to get a load of trees and stuff cleared from the side of the house after the storm flattened all our fences. Before they can be fixed, it’s all got to go. So 4 hours of chainsawing and hauling and chipping in approaching 40C heat was great fun as I’m sure you can imagine. 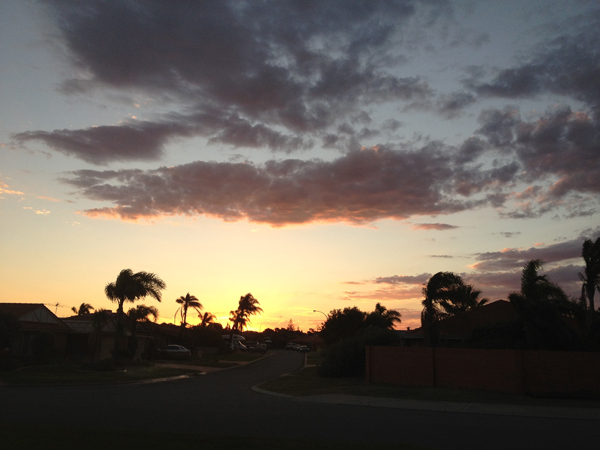 Anyway – it was a good day and there’s a gorgeous breeze coming through now. So, what can I tell you about this wine – well – Coonawarra about 350km from Adelaide in South Australia and is famous for its Cab Sav’s. The limestone soil and climate is perfect for the Bordeaux style wine. Coonawarra also grows a good Cabernet Franc, from which the Cabernet Sauvignon was created from a cross with Sauvignon Blanc. Cab Franc is a bit lighter than Cab Sav and actually is used on its own in some of more impressive Bordeaux’s like St-Emilion. So, this wine is a bit of this and a bit of that. Presentation Its formal, stylish, understated. The MC2 logo is cool, perhaps this is aimed at quantum physicists or Einstein wannabes? Appearance Its got a noticeable plummy colour – almost a layer or orange in there with it compared to the typical purple of the average Cab Sav. Its not too heavy – certainly not like an average Merlot. Aroma its subtle, smooth deep dark fruit overtones – blackberries, quite a lot of raspberries, plum perhaps. Its not got that big hit fruit burst and there’s no spice or pepper and I’m not detecting any woody or chemical smell at all. It’s just subtle, deep and smooth – classy. Taste very much like the aroma – it’s very smooth, velvety and rich with that dry quality from the Cab Franc (that distinctive makes your cheeks pucker slightly effect) – this is going down very nicely indeed. It warms up slightly in the middle with a hint of pepper and also opens right out, almost expanding after 5 seconds or so – it’s interesting. Finish this is where the tannins and deep structure of the wine becomes apparent – its quite oaky – maybe from the barrels, I don’t know. Its also peppery too, not like a shiraz, its as it started – subtle and soft. I need to be in Australia to try all the wines that don’t make it here! Many thanks Charlie ….. and I will explore! I don’t know how I missed your Wine Wednesday series – glad to have found it!! !